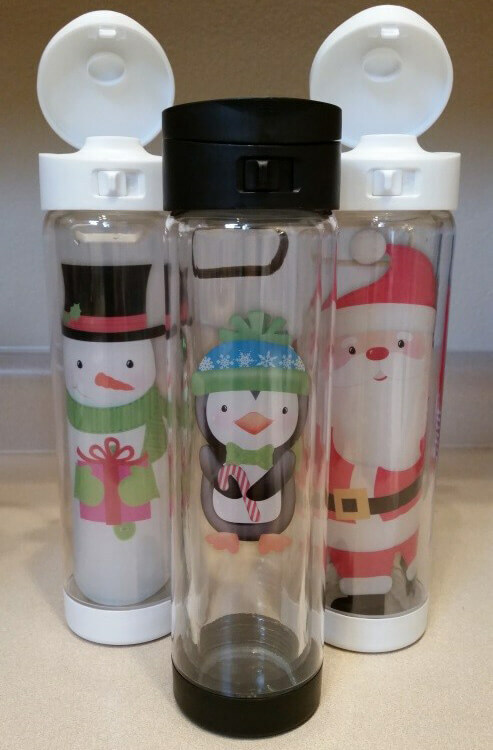 A fast and fun way to create a fresh new Glasstic StyleTM and create the perfect custom glass water bottle for you or your family is to add smaller sized window clings to the glass insert , the outer protective shell or BOTH! 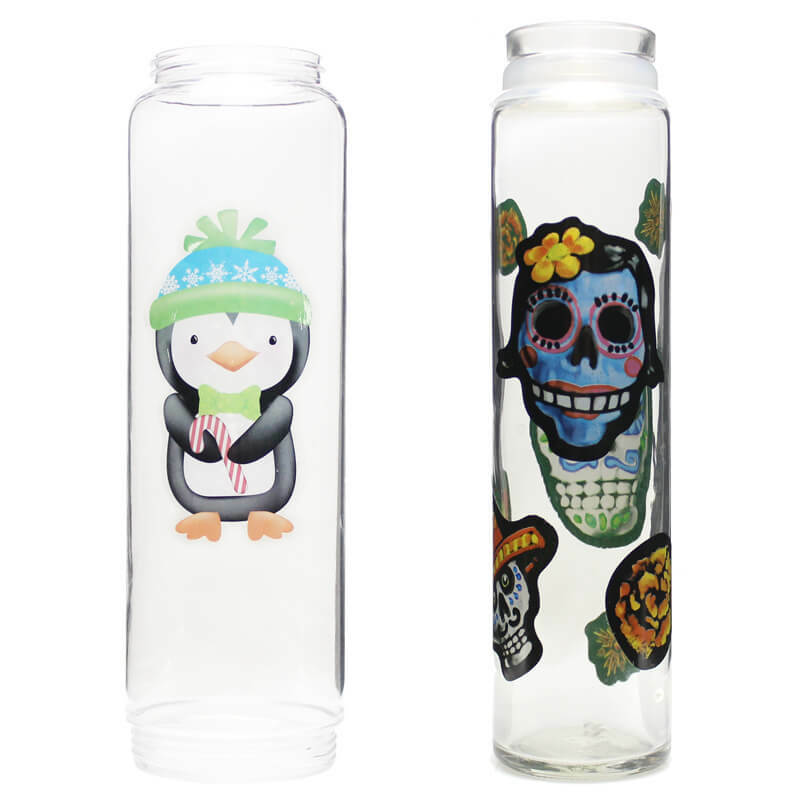 Inexpensive vinyl window clings allows you to create your very own custom glass water bottle that you can take anywhere. Also, vinyl window clings DO NOT have adhesive on them and so you normally don’t have to worry about sticky adhesive on your bottle if you chose to remove them. Be careful on the shell though as I have found some brands can adhere so strongly that they act as if they are glued on and when removed tear and leave bits and pieces stuck behind that can be an issue to remove. If you have any doubts about the window cling damaging Glasstic just put it on the inner glass bottle as I have never seen an issue with window clings on the glass. Dollar and craft stores like Dollar Tree or Michaels are usually a great place to find window clings on sale. I always look for the sheets that only cost a dollar or two and I only buy when they are on sale which is usually after holidays or during clearance sales. The designs that are too large to be used on your Glasstic can be either cut down to size or used around the house on things like windows, mirrors or even refrigerators. Some people try to save the ‘backing’ sheet, paper that the pre-cut clings came on, so they can put the cling back when they want to try something else but this isn’t necessary in my experience. I have found that laying the used clings flat in a file folder and putting a book or something on it for weight seems to work well as the clings tend to curve a bit after weeks or months on the bottle. Before applying window clings to Glasstic please make sure to thoroughly clean the bottle by taking it completely apart and washing it in soapy water with a bottle brush or rag. 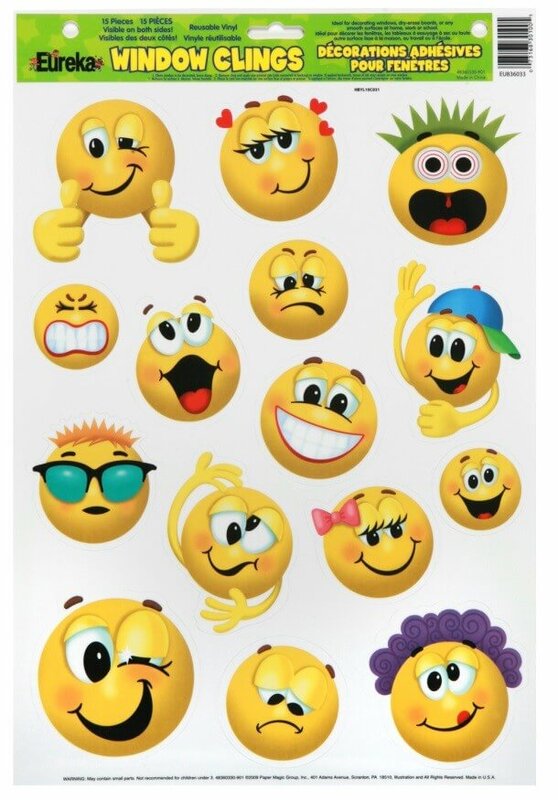 Many window cling manufacturers tell you to keep the surface slightly damp while applying the cling others say dry the surface first…I have found that leaving the surface damp to even wet seems to work well in most cases. This isn’t required though as many clings work perfectly well going on dry. Test your specific window cling on the both the glass and outer shell to see which approach works best for you. The key to remember is to remove air bubbles after you have applied the cling to the desired location. You can do this by rubbing the air bubbles out from the center to the edge of the cling. Any additional moisture will be rubbed to the edge as well. This can be patted dry with a towel. The window clings are quite durable and can be moved around easily on the glass or the plastic, especially when there is some dampness left on them. I have not encountered any real problems using window clings to make my Glasstic a completely custom glass water bottle. Most issues can be solved by simply washing the bottle and cling with soapy water and reapplying the cling in the desired location. I would encourage you to use this fun and fast way to make Glasstic unique to you! Please share pictures of your creations with your friends and the world by tagging them with #glassticbottle and uploading to Instagram, Pinterest or Facebook.